Stonehill MOT Centre is a small testing station and garage based on Stukeley Meadows Industrial Estate in Huntingdon offering a wide range of first class vehicle services and discounted offers. 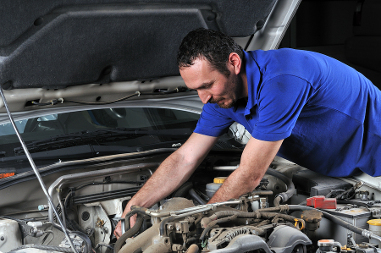 With over 10 years experience in car & van vehicle repair, MOT testing and servicing, Stonehill MOT Centre are able to supply a knowledge and service that is unrivalled in today's marketplace. The service we offer combines old-fashioned values with the very latest in repair technology. As our MOT test centre is located so close to Huntingdon city centre, you are able use our free pick up and delivery service or call in before or after work, where your MOT test can be carried out while you wait in our customer viewing station or reception area. Alternatively you can also have your MOT test during your lunch hour and take advantage of many of the restaurants and fast food stores close by. Stonehill MOT Centre are committed to providing Exceptional Customer Care with a high level of professionalism. All of our MOT Testers are MOT accredited in line with VOSA standards.